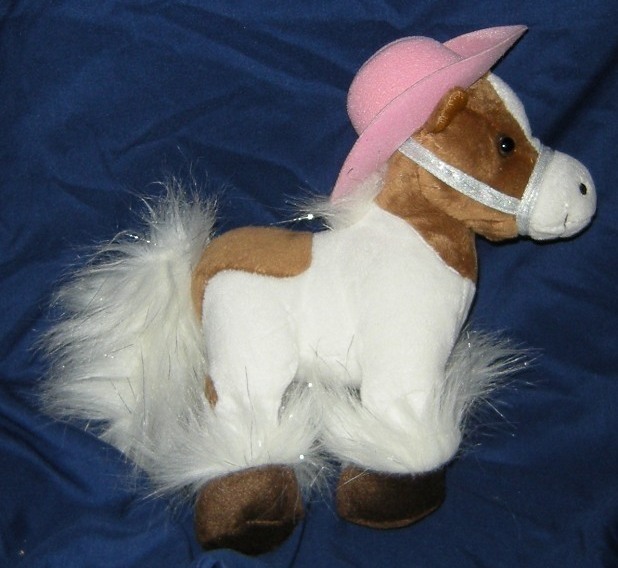 My Fancy Friend and Me Plush Brown and White Pony Horse w Pink Hat My Fancy Friend and Me brown and white plush pony horse Pink hat 10 inches tall Like new No hang tag This beautiful little brown and white plush horse is wearing a pink hat and white bridle. A My Fancy Friend and Me plush collectible. It measures about 10 inches tall. No hang tag, but in like new condition. 2006. So cute! Note: All our items for sale are pre-owned and come from various sources. Though cleaned, sanitized and deodorized, we can't guarantee they are free of all odors, allergens, irritants, or other potential issues. If this may be problematic for you, please pass us by. Thank you.